← Hey Greenpeace, could you find us Finns a warm place to live in? Note: This text from 2043 has been delivered to me through a curious spacetime anomaly. 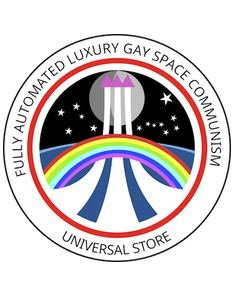 Hopefully it only represents one possible future, not the future. Multiple self-styled “environmental” organizations issued stark warnings of the catastrophic risks of their energy plans more than a quarter of century ago in prescient documents that have recently been rediscovered. However, the organizations had been deeply invested in their opposition against many necessary clean energy technologies and helped lobby against their deployment, leading to accusations that these organizations knew the grave risks of global warming but did not act accordingly. 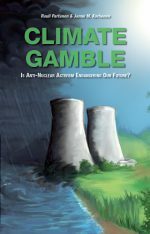 But, despite being fully aware of the risks of runaway climate change, these organizations invested hundreds of millions of dollars in decades-long disinformation and scare campaigns against clean energy technologies, such as carbon capture and nuclear power, that worldwide scientific consensus believed either important or nearly irreplaceable in the climate fight. The environmentalist organizations also funded and supported outlier research that sought to undermine this consensus opinion and present the climate problem as solvable with renewable energy and energy efficiency alone, despite such scenarios being rejected by the IPCC and other expert bodies as unrealistic outliers. According to both current and contemporary observers, these organizations had become prisoners of their history, continuing the policies they had adopted during their founding in the 1970s (when the organizations even went as far as to propose coal as an alternative to nuclear power) despite clear and mounting evidence that they were inadequate for the challenges of the 2000s. This entry was posted in Energy, What they aren't telling you about nuclear power and tagged climate change, Environment, Greenpeace, WWF. Bookmark the permalink. I recently had a look at the Dead Sea Scrolls, and THEY KNEW climate change was going to become a serious problem at some point, AND YET they chose to do nothing, lest it interfere with their fundraising. Pathetic.